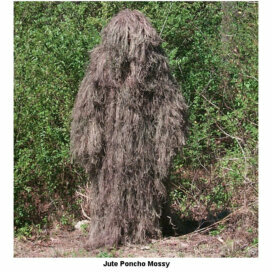 The Bullseye Kids Ghillie Suit is built using our 2 layer construction design. The base layer is a lightweight breathable No-See-Um bug proof fabric. This fabric feels smooth on your skin so all you need is a light shirt underneath. On the fabric is sewn our Ultra-Light Synthetic thread. We use a patented sewing method which ensures that the Ghillie thread will not pull out. 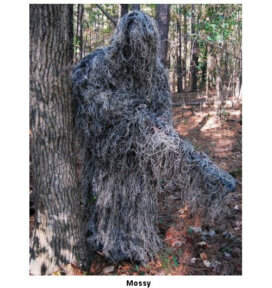 To enhance your camouflage effect simply tie local vegetation to the suit using the suits Ghillie Thread. • Breathable Inner No-See-Um fabric Shell. • Elastic Waist and Cuffs. • Pass through pockets so you can reach your clothes undeeath. 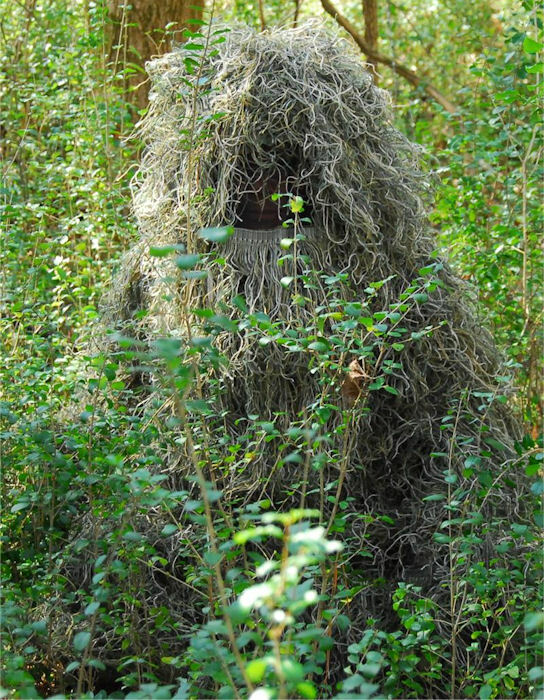 • Inner Camouflage No-See-Um fabric Shell. • Elastic Waist with Adjustable Drawstring. • Snaps on cuffs for easy access. 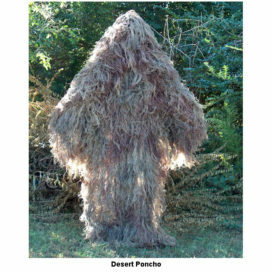 • Full coverage hood with bug liner. • Elastic Band with Synthetic Thread. • Elastic Loop Ends for Easy Attachment. My son worked very hard to earn the money to buy this suit and according to him, it was well worth it! He loves it and delights in trying to surprise people. He even wore it grocery shopping. 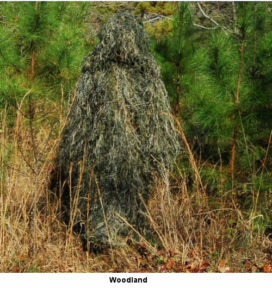 My son also loves his ghillie suit. He walks the dog every day in it. 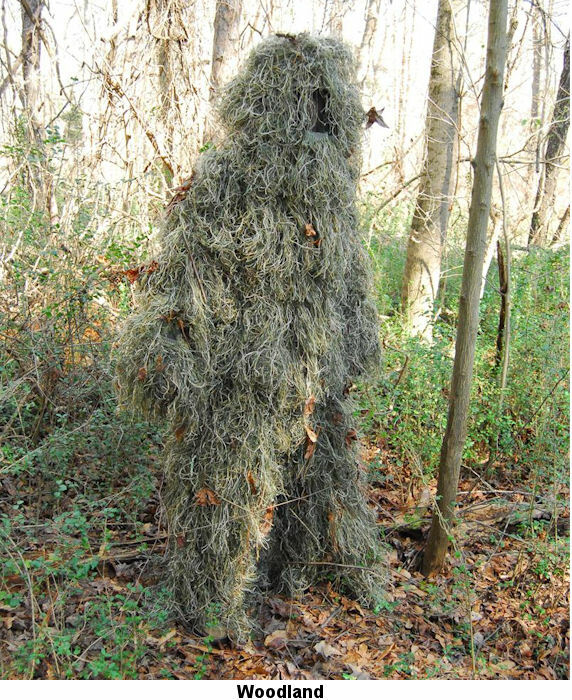 I have finally received the Ghillie suit today, our son is extremely happy. Thank you for responding shipping it! My boys loved it. Thanks again for prompt service and a great product. Appears to be made well, only time will tell. Kids love them. Assembly appears good. Very happy with product. 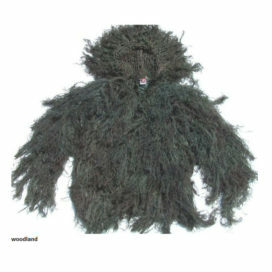 After ordering the wrong size they were extremely helpful and I received my ghillie super fast. My son loved the suit and it fit great. He is 11 and eore it as his Halloween costume. He received several compliments. Quality of suit is good. I bought these for my 13 year old and 10 year old son and they love them!! They were meant for Halloween but they’ve been wearing them playing out front and tricking our neighbors that they are bushes! Fun stuff! Unbelievable, my son loves it!! Quality is amazing. Best thing ever!! The suit is just what I thought it would be and I love it. Excellent quality and service, my son is obsessed with it. My 10 year old was very excited and loves it. The suit appears to be well built and covers well. I bought this for my daughter. She loved it and can’t get her to put it away. Perfect fit and good quality. Quick shipping. Thanks. Absolutely loved the product. I bought this for my 7 year old grandson as he is an avid hunter. I was able to wear it as well. I am 5’6 110 lbs and he is quite small. 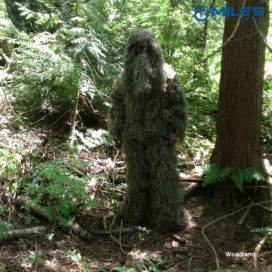 I bought the bullseye ghillie suit for a 9 year old boy for Christmas and he absolutely LOVED it. He said it was just like the ones he sees in the video games he plays. By far his favorite gift. 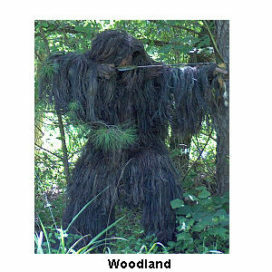 The ghillie suit was awesome. My son wore it for Halloween and his friends loved it. 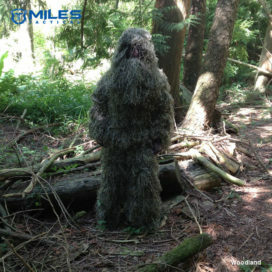 My 12 yo son couldn’t have been more thrilled with this ghillie suit. Looked authentic, easy for him to put on and take off, and he wore it all night for Halloween. Plus there’s room for him to grow and still fit into it. Love it! Highly recommend this product. Your product is AWESOME!!! Way above my expectations. I would gave the suit a 10 star if i could !!!! !